Oh yum, that looks absolutely delicious! These are gorgeous, Marisa! I can imagine all that flavor come busting out! My husband would love these! What gorgeous calzones Marisa! They sure would be great picnic food too! Indeed they would Kathryn with a bit of vino on the side…just perfect. Thanks so much? This is a heavenly calzone for me! 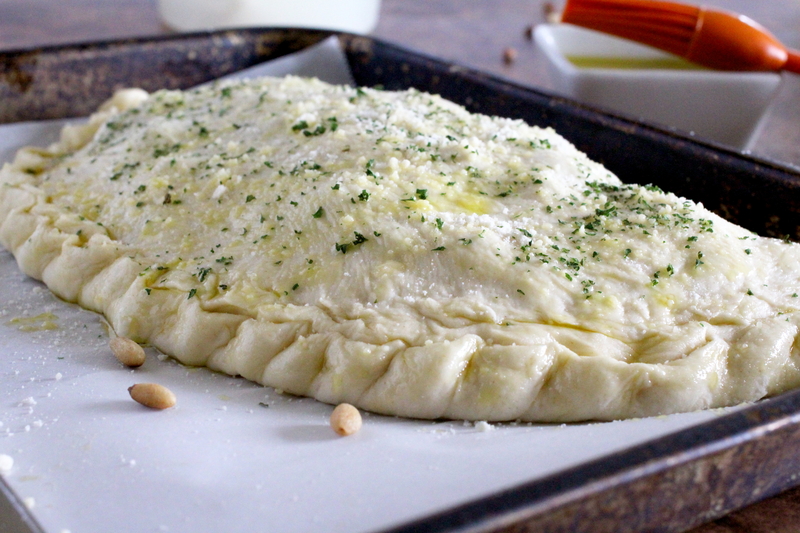 I love the pram-parsley topping on the outside of the crust- I’ve never seasoned the outside of the dough on a calzone. Great idea! Seasoning the tops of the calzone really adds more textures and flavors. The Parmesan cheese takes on a more nutty taste and adds a little crunch. Hope you get to try it Josette. 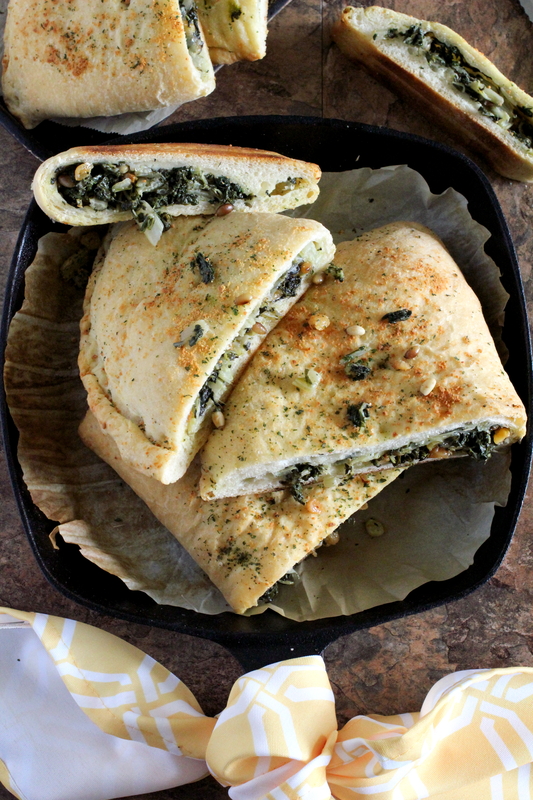 Your daughter has great taste in food…..there are endless possibilities when it comes to filling Calzone! Enjoy Josette? Lol….I knew we were soul sisters, we both love to cook and disliked raisins at a very young age!!! ? ooops…. Guess I misread – I actually loved them so much that I had to double the amount! Lol…Indeed…..for me they’ve been an acquired taste! Thanks so much Ronit? This this so so good! I just love your blog! I like Swiss chard a lot too. It is a good alternative to spinach. If you open a restaurant some day, I’m coming! Swiss Chard makes a wonderful side dish to any type of meat and of course always delicious over pizza or in a calzone. Thanks for commenting Julia ? I neeeeeeed to give this a try. 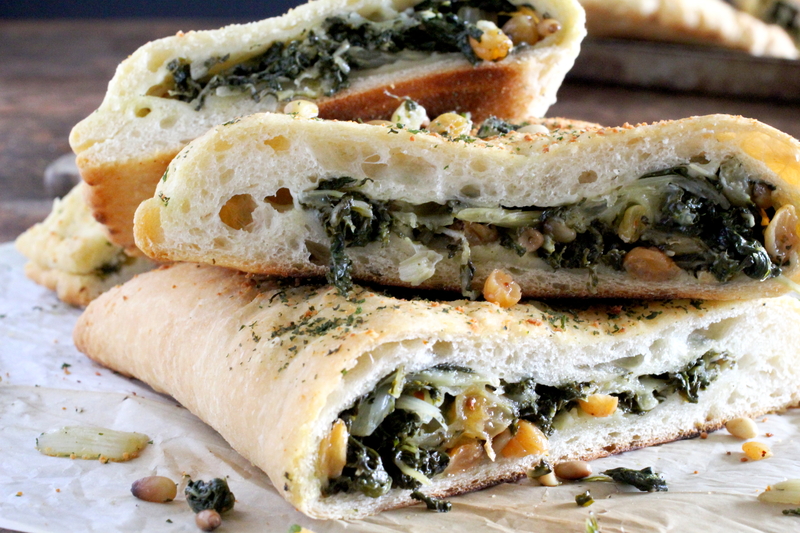 I adore pizza, but I have yet to try a calzone that I really enjoy. I think it’s just because store-bought ones tend to be a little over-stuffed or overly bread-y, making that balance hard to strike. But taking things into my own hands (with scratch made dough to boot!) sounds like a good idea. LOVE the filling you’ve done here – it’s so rich (yet healthy), with some really wonderful ingredients. I’m particular into the use of raisins and pine nuts! What a great idea! Raisins and pine nuts were always paired together when used in any type of stuffing while growing up…I grew to love them from a very young age! Do give it a try Sean and thanks for commenting? Hi, this looks so tasty! Thanks for the recipe. My farmers market has had it the last two times so I’ve been looking for yummy recipes. My question is about the raisins….can I ask what the thinking is behind using them? It just sounds an odd addition to a savory dish, yet I noticed you did it on another one too. Please enlighten me!!! Looks delicious. And the filling is very Italian! Sweet and savory combinations are an essential part of Italian cuisine in the south with the Arabic influence. It’s nice to see the tradition continued. Thanks Stella, I love the continuity of older traditions and looking forward to creating more from my childhood! Yes the Arabic influence is quite evident down south especially Sicily which I hope to visit one day? You really should visit Sicily. I went for the first time last year and it was very beautiful. Especially if you like the beach! Soft, white sand along the southern coast. I don’t need to taste this to absolutely be sure that it is wonderful. The raisins and pine nuts give the filling a nice twist. Rest assured, there would not be leftovers at our house. Nice BLOG!!! ADD my BLOG!!! Kisses!!! Thanks so much graham, they really are quite yummy!